FREE is MUCH BETTER than paying salon prices! 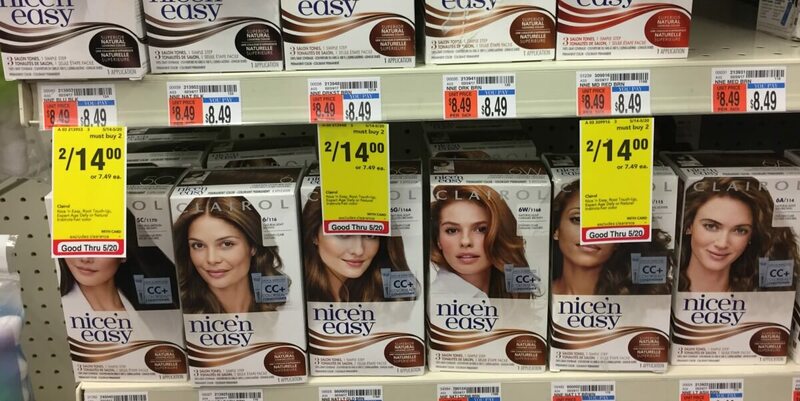 Now through 5/20, CVS has Clairol Nice ‘n Easy, Root Touch Up or Natural Instincts hair color on sale 2/$14 (sale price, mb2). Many shoppers have reported receiving a $4/$12 Hair Color, CVS Coupon (select shoppers). If you were one of the lucky ones, you can use it here to score these for FREE after stacked offers! Don’t forget to check your CVS app and scan your ExtraCare Card at the Coupon Center in store…..you never know what surprises you’ll find there! Better Than FREE Colgate Total Advanced Toothpaste at Walgreens!